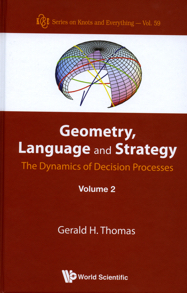 The first volume, Geometry, Language and Strategy, extended the concepts of Game Theory, replacing static equilibrium with a deterministic dynamic theory. The first volume opened up many applications that were only briefly touched on. To study the consequences of the deterministic approach in contrast to standard Bayesian approaches, the richness of applications, requires an engineering foundation and discipline, which this volume supplies. It provides a richer list of applications, such as the Prisoner's Dilemma, which extends the resonant behavior of Vol. 1 to more general time-dependent and transient behaviors.